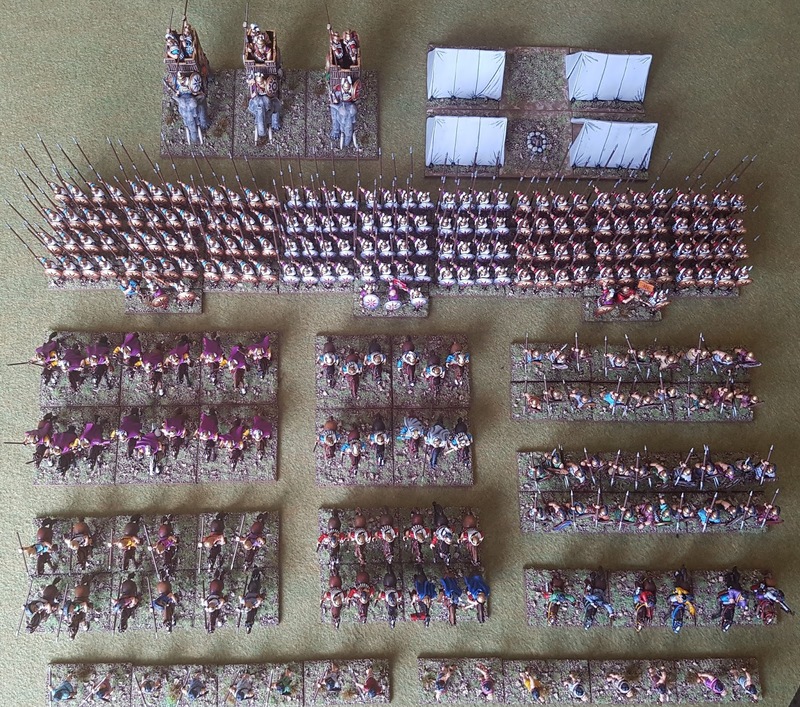 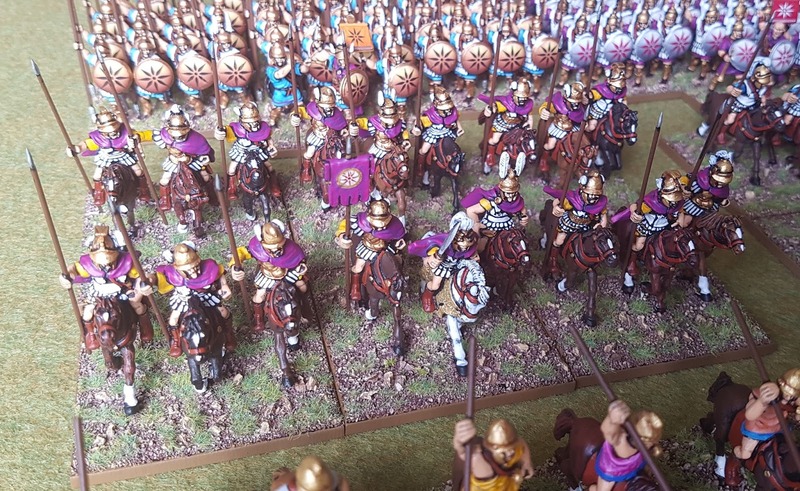 I've added another 90 infantry and 30 cavalry to my Macedonians since my last post on them, so thought I had better update the photos! 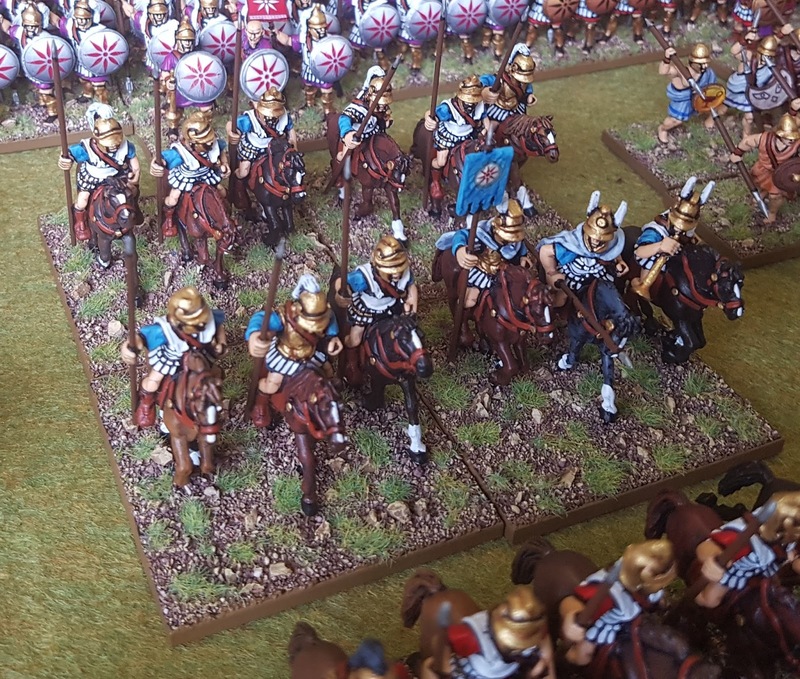 A dozen new Greek Light Cavalry. Plus two more elements of Lancers added to those behind. 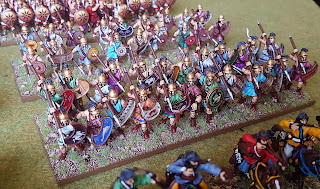 Aventine Miniatures. 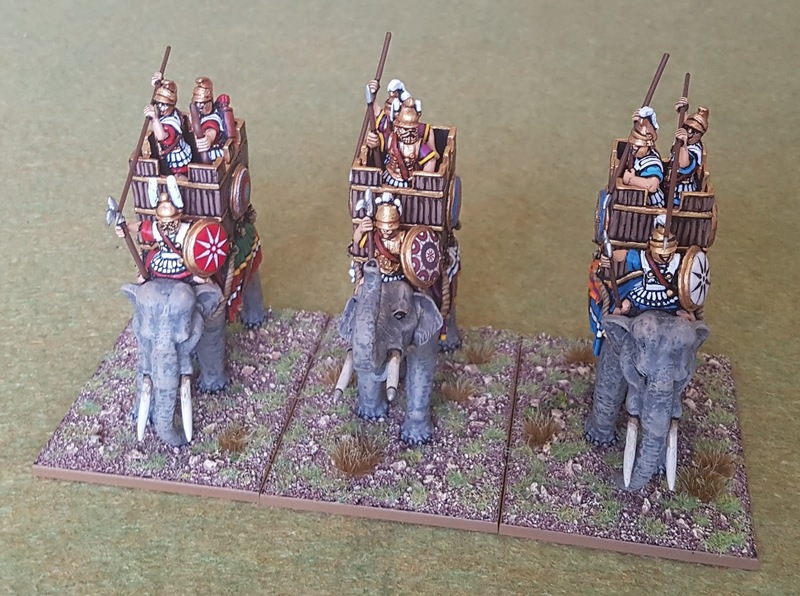 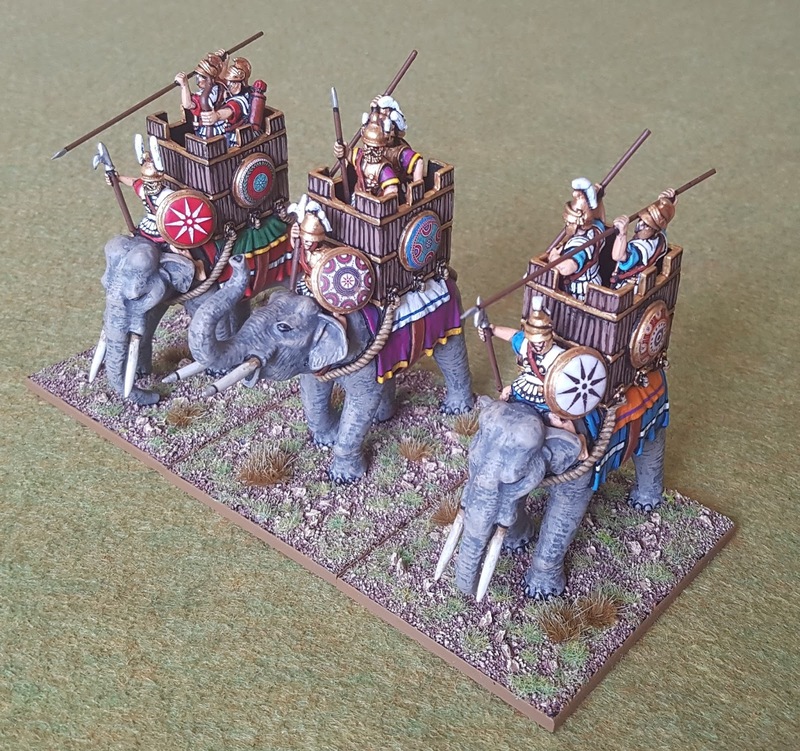 New Greek Medium Cavalry. 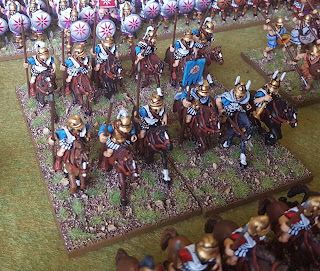 Aventine again. 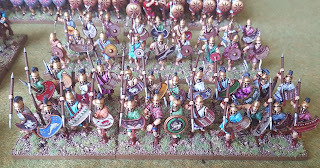 New Peltasts, close order in front. 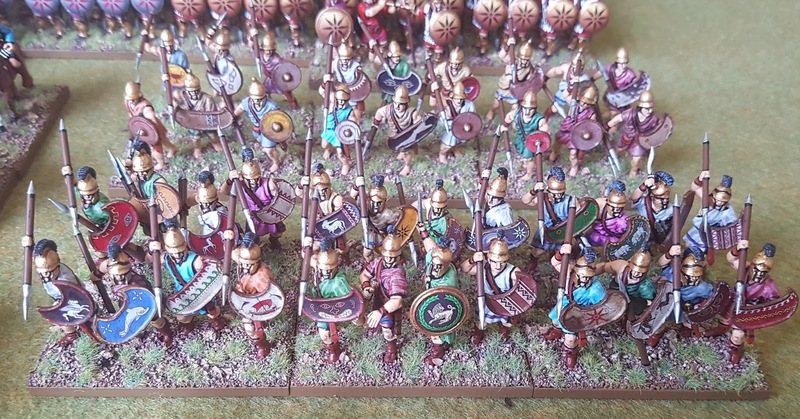 Victrix Miniatures. 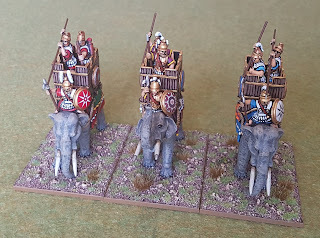 Close up view of some of the Peltasts again, showing off the Little Big Men shield transfers. 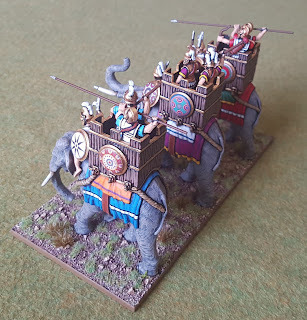 Another look at the elephants again. 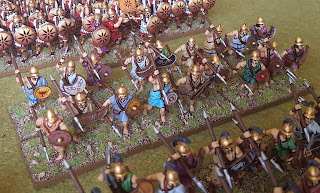 From Aventine. 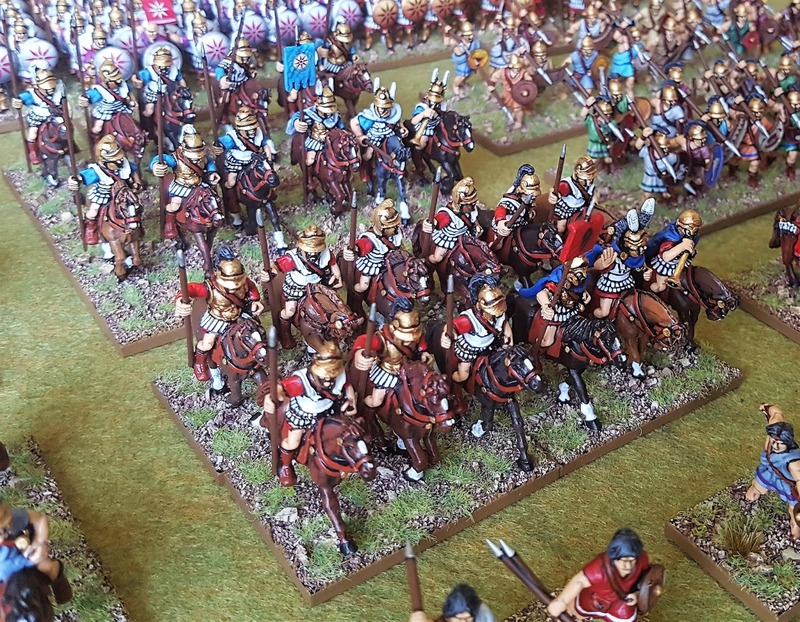 And the previously painted Lancers. 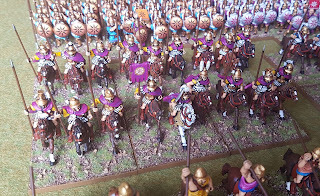 Aventine. Great work - fabulous ! 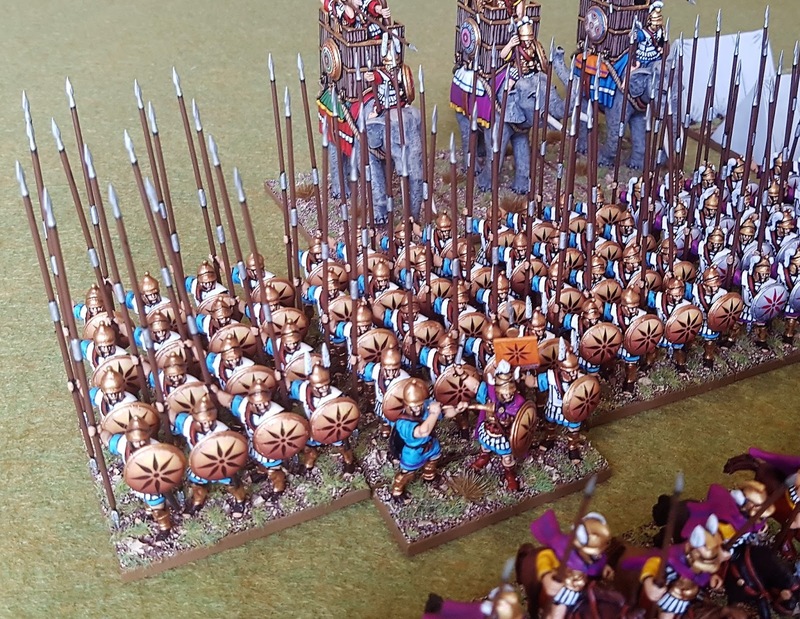 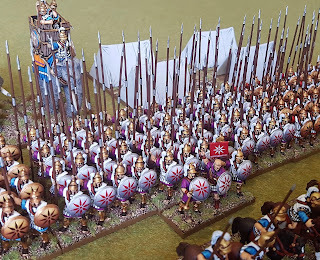 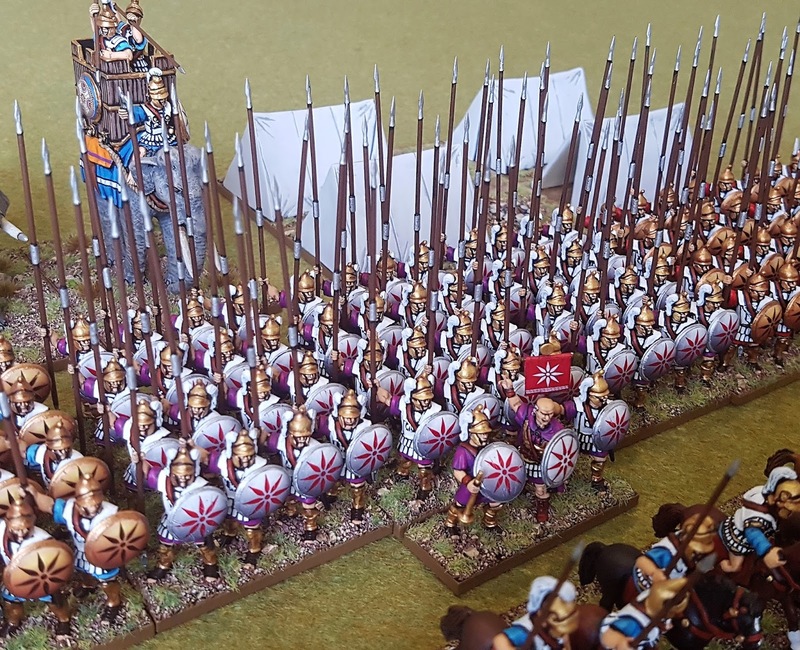 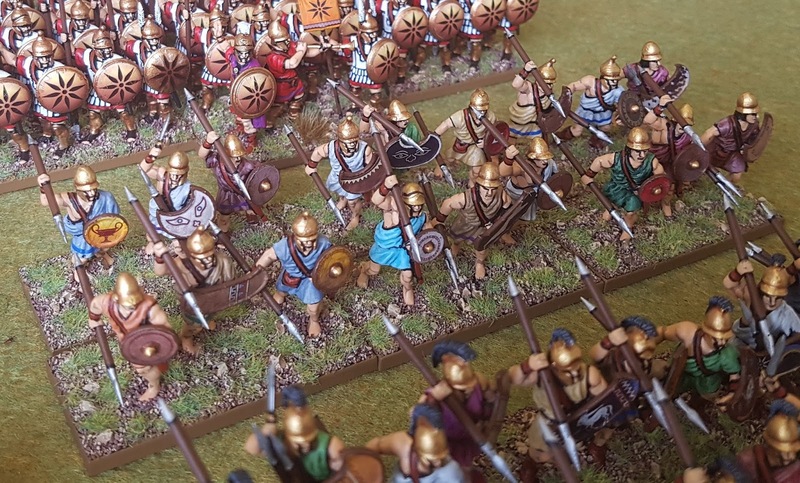 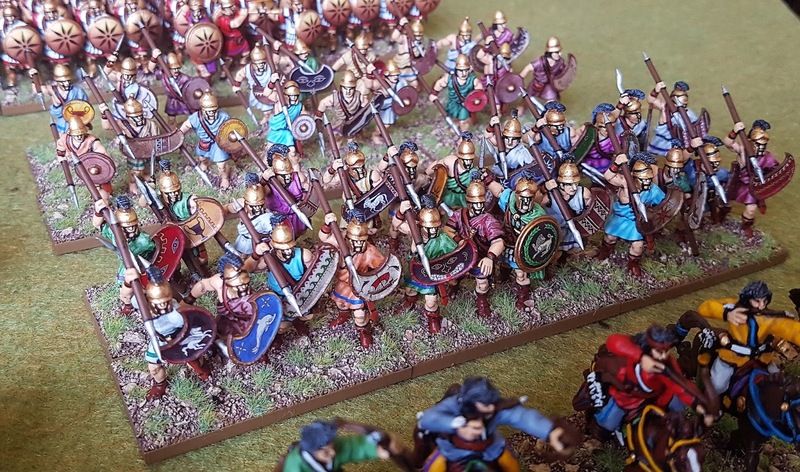 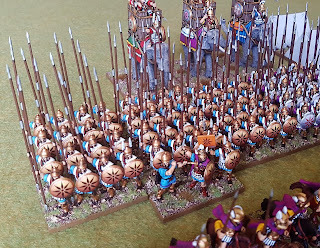 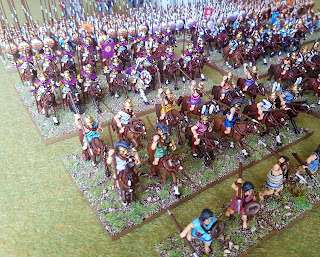 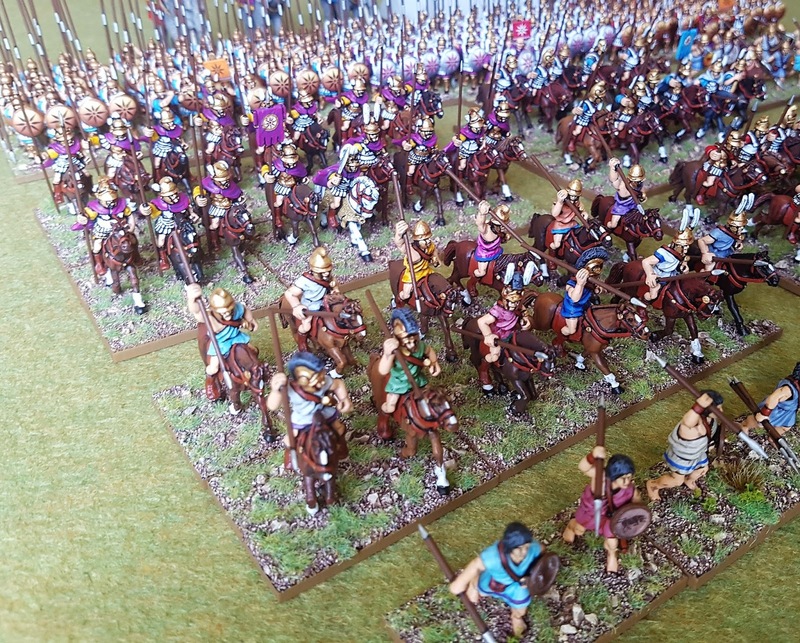 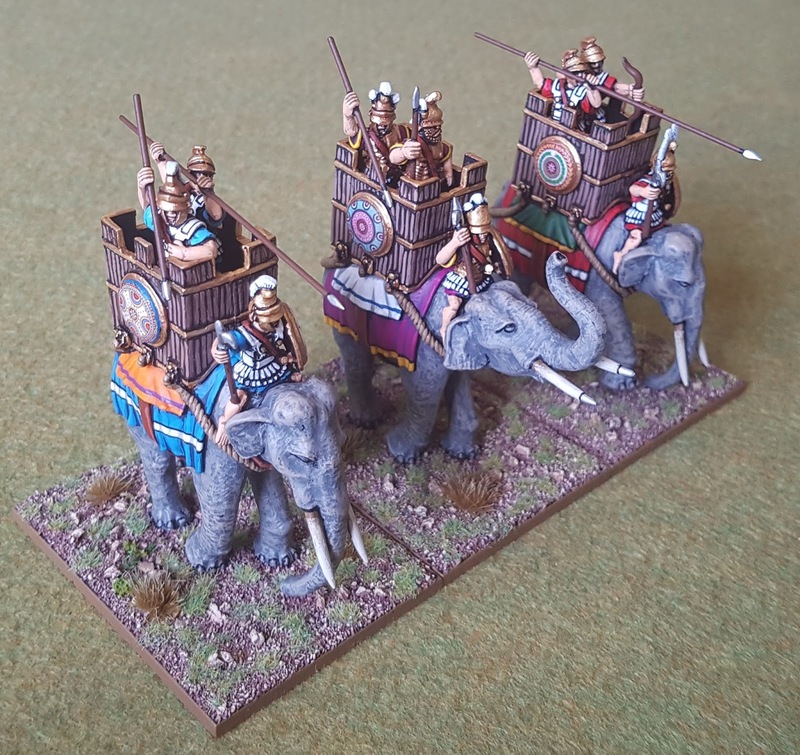 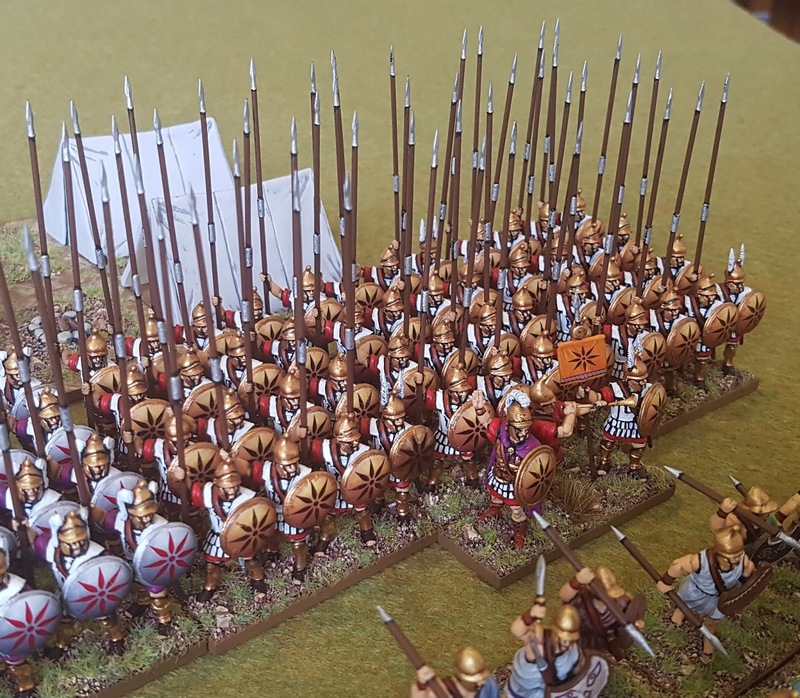 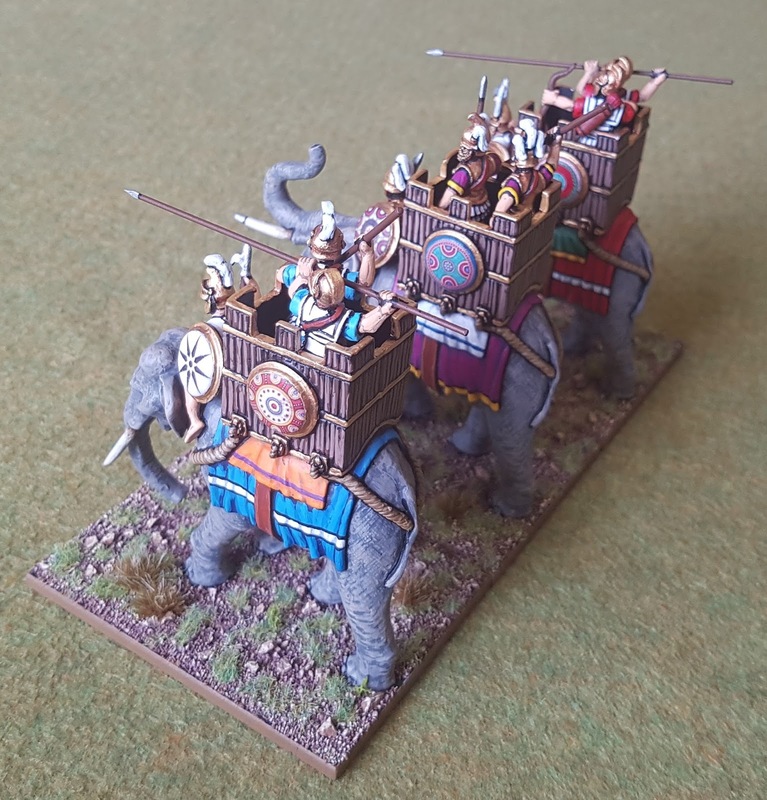 Lovely stuff Mark, and inspiring as I have my own horde of Macedonians to paint this year! 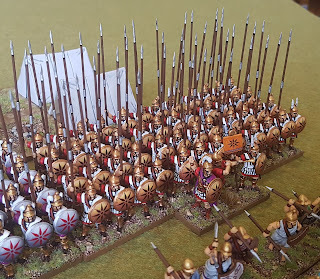 Thanks Peter, and good luck with your own!